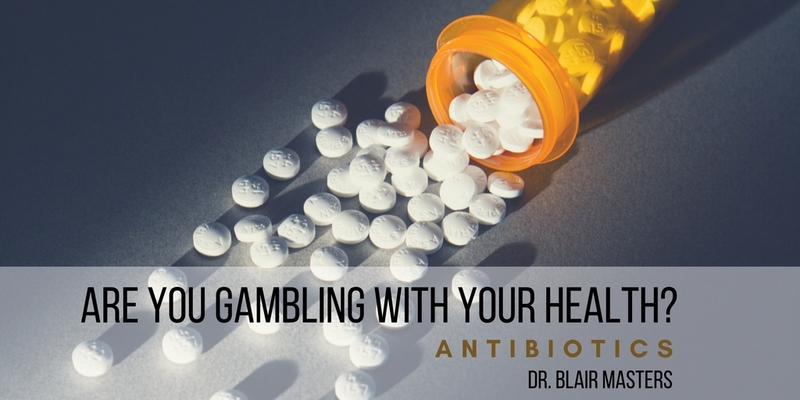 Are you Gambling with your Health by Taking Antibiotics? This can be a big gamble, but an even bigger problem. There are superbugs being created by the overuse of prescribed antibiotics. They have found that the overuse of antibiotics has made bacterial infections impossible to get rid of. In some cases, some infections are so lethal, that if you get them, you only have a 50% chance of survival. That is really scary. Penicillin, that was in other antibiotics, was supposed to get rid of the era where you can die of pneumonia or other infectious diseases, but it appears those times are coming back, in fact, there is a bacteria called CRE, that may be impossible to kill with antibiotics. This bacteria has been found in hospitals in 42 different states. These antibiotic resistant superbugs have developed genes that resists every antibiotic known to man. It’s very alarming to find how many bacteria are developing resistance to these drugs and how quickly it is occurring. I believe the area where antibiotics are being overused the most is on farms. Many large commercial farms use antibiotics in their animals’ feed to make sure that they do not get sick and then go to market bigger and fatter and “healthier” animals. So, what can be done about these superbugs? One of the most important things that you can do is to make sure that your immune system is as healthy and as strong as it possibly can be. Make sure that your intestinal tract is full of good healthy probiotics, these are the good bacteria that you should have. Some researchers showed that probiotics are responsible for up to 90% of your immune system’s function. Make sure that your adrenal glands are as healthy and strong as they can be. Researchers found that the adrenal glands are a vital part of your immune system. Make sure that your nervous system is functioning properly as the nervous system controls and coordinates all the other functions, organs, and tissues of the body. Insure that you cultivate positive experiences in your life. These can come from the activities that you do and having positive relationships. Cultivate hobbies or personal experiences that bring you joy. Work on your relationships, with your spouse or significant other, your children, your co-workers, etc. Often times these require work but having positive relationships in your life is well worth it. Take time for yourself. Whatever that means to you. Maybe it means going to a movie, getting a pedicure, fixing yourself a special dinner that you particularly enjoy. Whatever it means to you, treat yourself as an honored guest in your own life. Number 5 and 6 may seem like they have nothing to do with the immune system, but studies have proven that having a positive outlook on life improves immune system function dramatically. If you find that you get every bug that comes along or you get the sniffles or a cold very easily, consider coming into our office for a nutrition evaluation to find out what kind of shape your body is in and what can be done about it. Take advantage of an upcoming event called Don’t Gamble with Your Health Week from July 17-22, where new patients can receive an exam and X-rays, if needed, for only $19.95 and chances to win exciting prizes. This week you can learn how the average American gambles with their health and how you can improve your health in even more ways.